Joshua performed on Show 326 in Cleveland, OH, on June 7, 2016. Joshua Elmore (bassoon), 18, is from Shaker Heights, Ohio, and attends Shaker Heights High School. 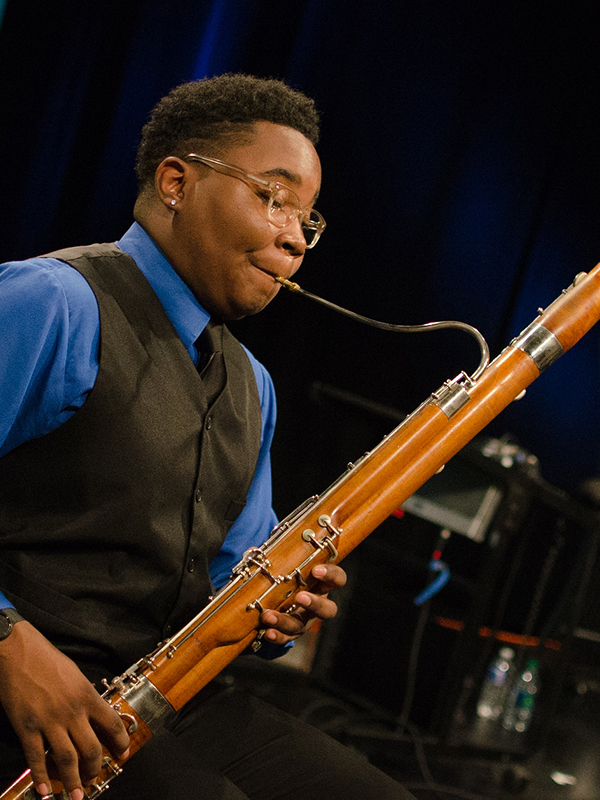 He studies bassoon with Barrick Stees in Cleveland Institute’s Young Artist Program. Joshua has been a member of the Cleveland Orchestra Youth Orchestra, National Youth Orchestra of the USA, and World Youth Symphony Orchestra. He loves theatre.